Posted by Karen Ang on Oct 26, 2014 . Posted by Mices in Articles on Mar 18, 2014 . Did you know that up to 20% of ink cartridges are thrown away before they are empty? If you have not used your cartridge for some time as could be the case with your color cartridge, it may become clogged or dry and fail to print properly. Just because the cartridge is printing with streaks or missing colors does not mean that it is empty. Bring it by our store for a free evaluation and cleaning. From time to time a printer manufacturer may release firmware updates for your printer. 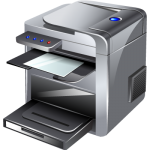 In some cases, the updates are designed to fix a legitimate printer problem. 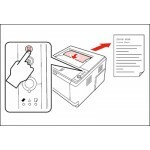 However, in many cases they are designed to disable 3rd party chips used on remanufactured cartridges. 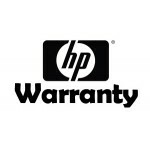 If you are using remanufactured cartridges and are having no issues with your printer you may want to decline the firmware update when your computer asks you to do it. Before accepting any firmware or software update in general, make sure you understand what the update is fixing and if it is worth the risk of updating.